Suit is good quality and value for money and the service was excellent. Ordered a suit which was a perfect fit and excellent quality (110 Merino wool). There appeared to be a retainer missing on the trousers. I spoke to Customer Service. I was able to return the trousers free of charge and within a couple of days a new pair were delivered. This was accompanied by excellent communication via email. I have purchased fromBrook Taverner before, so knew what to expect, and was not disappointed. The garments are very good, fit well, and were delivered very quickly. 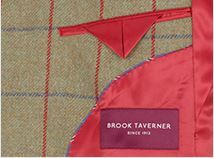 Excellent quality items and great service, I would highly recommend Brook Taverner. The two suits I bought recently could have been made for me, great quality . Suit arrived very quickly. Cut excellent to measurements. 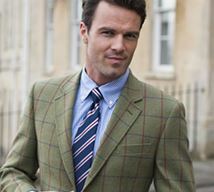 I have bought many suits from Brook Taverner and have always been delighted with them. Being a less than standard length leg I particularly appreciate being able to buy trousers with the right length leg rather than having to get them shortened. Quality has always been excellent and the service good. I have recommended them often to friends and colleagues. This is my second purchase from Brook Taverner and now I'm hooked! My first, a tweed jacket, far exceeded my expectations. This suit is very good quality, nicely tailored, a good fit and looks like it cost far more than it did. Much better quality than similarly priced suits from M&S or TM Lewin, from now on I'll be back on a regular basis to get my suits here. I have to wear a suit every day, have to look smart and then have to trek around houses, gardens and even the odd paddock in the course of my job. I think this suit should stand up to that. I am delighted with my Dawlish herringbone suit. 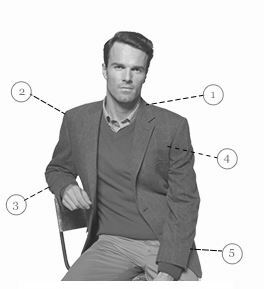 The cloth is good quality and the fit of jacket, 44long, is perfect on me, and I'm 6ft 5. I bought this suit for my wedding in June, and my fiance thinks I look great in it, understated and elegant. The service from Brook Taverner was extremely efficient and I would certainly deal with them again. Suit was as advertised, good fit and stylish. The order was filled promptly and I am very happy with the quality of the suit's cut and material. Great Quality & Fit., delivered the very next day. So good i then bought another. Great Quality & Fit., delivered the very next day. So good i then bought another the following week. Definitely buy from here again - very good quality for off the peg and at a superb price. Great to see a quality English company getting it so right. I've ordered quite a few garments now and I must say that the quality and fit is remarkable. When the high street stores have been reducing quality even though importing from starvation countries most of my purchases have been from the UK. A bit like JCB, Successful, Well designed and Home Grown. Great quality and swift delivery. Very Hhpy with my purchase and fantastic offers. I ordered a suit - jacket & two pairs trowers on line, but had to return the trowers as i had not realised how much weight i had put on and had to ask for a larger waste size. There was absolutely no quibble the revised trowers came back and I am delighted. Couldn't recomend the service and quality of the product high enough - will certainly come back when i need another suit. Bought a suit a while back and now only buy Brook Taverner. Great suits and great service. Always good quality. Simple and effective ordering system. Fits like a glove and looks even sharper than I expected. Lots of pockets, vents are in the exactly the right place. Excellent fit and finish on this 46L jacket. Price, quality, service all superb. Excellent quality items and great service, I would highly recommend Brook Taverner. 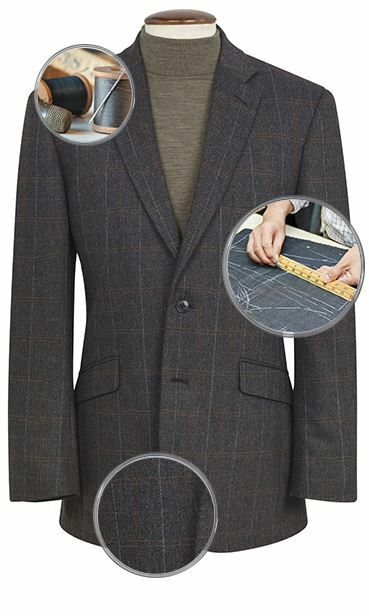 The two suits I bought recently could have been made for me, great quality . I would recommend this company to anyone. I am delighted with my Dawlish herringbone suit. 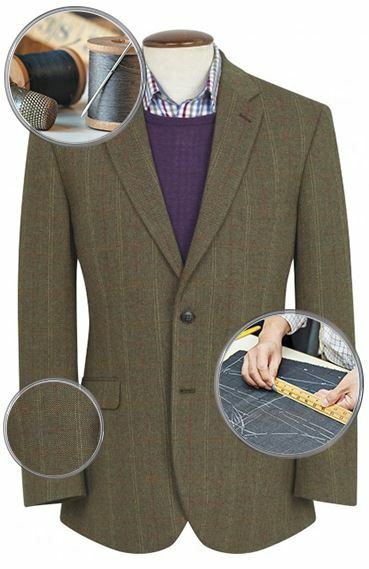 The cloth is good quality and the fit of jacket, 44long, is perfect on me, and I'm 6ft 5. I bought this suit for my wedding in June, and my fiance thinks I look great in it, understated and elegant. The service from Brook Taverner was extremely efficient and I would certainly deal with them again. Great Quality & Fit., delivered the very next day. So good i then bought another the following week. I've ordered quite a few garments now and I must say that the quality and fit is remarkable. When the high street stores have been reducing quality even though importing from starvation countries most of my purchases have been from the UK. A bit like JCB, Successful, Well designed and Home Grown.